Tuesday night, I attended the Luxury Technology Show in Los Angeles. This show was held at the Peterson Automotive Museum, and showcased 20 companies, all with high end products ranging across many aspects of life and leisure. This event was a place for these companies to not only impress the Press, but to meet other industry VIPs as well. Wandering among the beautiful classic car museum exhibits, while also discovering some cool new tech, made this a night well spent. I’d like to briefly highlight 7 products that stood out, which I hope to review in further detail in the very near future. 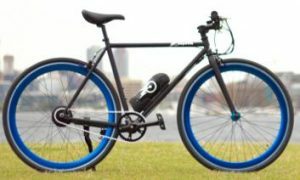 Propella Electric Bikes, a start-up company who just finished their Indiegogo campaign, was exhibiting their lightweight, minimalist, sleek looking electric bike. This bike keeps things simple, light, and cost effective, by giving you the function of an e-bike without all sorts of unnecessary bells and whistles. This cycle is for consumers who still want the bike riding experience, just with some added power for easy, efficient commuting. The removable 36-volt Samsung Li-Ion battery pack, which fully charges in 2.5 hours, can last up to 28 miles, and can also charge your devices while on the go. The lightweight aluminum alloy frame, with adjustable stem and seat, weighs around 35 lbs, and can be ordered with 3 different colors of tire rim. The 250 watt, rear hub motor, can get you going at speeds up to 20 mph, and can be engaged in 2 ways, by using the thumb throttle or the pedal-assist function. You can read more about these options, and learn how to pre-order the soon to be released Propella 1.5, by visiting www.PropellaBikes.com. The Barracuda Collapsible Carry-On is the 1st of it’s kind, and has so much unexpected functionality. When not in use, this rolling suitcase collapses flat, and fits into it’s own hangi ng bag for space saving storage. When you’re ready to travel, the sides easily snap back into place, creating a full sized carry-on item. This attractive luggage comes in 6 colors, is waterproof, and has several added surprises. The Halo handle is ergonomic and rotates 360º, allowing you to adjust the angle, and lock it in place, so your wrist will always be in the most comfortable position while pulling the case behind you. Inside the back of the handle is a convenient tray table, complete with 2 cup holders, which can be folded out when the handle is fully extended. Use this as a table for your laptop, of up to 8 lbs, or as a tray for you food and beverages. Each case comes with a high capacity back up battery, concealed in a side compartment, which can power your phone up to 5 times over. Each one also comes with a large laundry bag and 2 shoe bags, so you can keep your clean and dirty items stylishly separate. As an added upgrade, you can even get a location tracking sensor and app, which will not only let you know where you luggage is if lost, but can give you a proximity alert so you can relax at baggage claim instead of staring eagle-eyed at the carousel. Find out more, and watch a fun video at www.barracuda.co. Skulpt is a company I saw briefly at CES in January, and was impressed with them then. This product is perfect for people who like to work out, and really take control of their full body fitness. The Skulpt Performance Scanner is a hand-held device, connected wirelessly to the Skulpt app, which can measure and keep track of your muscle quality and fat percentage, simply by pressing it to the area of your body you wish to scan. By periodically scanning 24 different parts of your body, the app can show you a full body map of your strengths and weaknesses. This allows you to make sure you are getting a balanced work out, and targeting each of your muscles effectively. After measuring your body, you can get advice on how to maintain or improve your total fitness, from Skulpt affiliated trainers and nutritionalists. 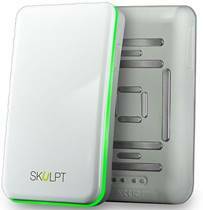 You can learn more, and purchase a device, at www.skulpt.me. Well, we’ve efficiently commuted to work, made travel more convenient, and gotten the most out of our daily exercise. Now let’s have some fun. Bartesian is a single serving drink maker, which crafts premium cocktails with the push of a button. 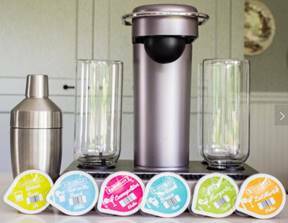 The low profile, self-cleaning machine holds up to 4 of your favorite spirits, and uses Bartesian’s own recyclable mixer capsules. Each of the 6 currently available cocktail varieties contains only the highest quality, all natural ingredients, to make each cocktail perfectly delicious every time. You can host of fabulous cocktail party, and effortlessly please all of your guests, with the minimum amount of effort. They can even have the fun of crafting their own cocktails, since the process is as simple as inserting your desired mixer pod, choosing your alcohol strength on the LCD screen, and watching the Bartesian do the rest in under 20 seconds. The machine also comes with a traditional stainless steel cocktail shaker, to add that extra bit of style to your cocktail service. Pre-order you machine and see one in action at www.bartesian.com. Polycade is a full size arcade interface for your home, which takes up a fraction of the space of a standard upright game cabinet, comes pre-loaded with 20 fun games, and connects to the Steam store for access to thousands of other titles. You may have used modern plug-and-play devices, which allow you to play your favorite classic games on your television with a handheld controller. The Polycade takes this a step further, and provides you with the real controls of a classic arcade console, like 2 player buttons, joysticks, and a trackball. You can either mount a unit directly onto your wall, or purchase an attractive wooden stand-alone base, so you can position the console anywhere in your room. Not only can you play individually or together at home, but the Steam connectivity and built-in microphone allow you to connect online for a long-range multi-player experience as well. You can even turn your Polycade into a jukebox by streaming music from your phone. There are several ways to customize your Polycade, including cabinet color, button layout, and the internal computer components. 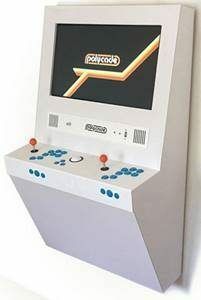 Customize yours today at www.polycade.com. Music can be an important part of our daily lives, bringing passion, joy, relaxation, and excitement into our homes, cars, and other activities. Listening to your favorite songs on your phone is all fine and good, but listening to them on a professional quality, high-fidelity, portable music player, designed for the style conscious audiophile is a next level experience. The Explorer, from Echobox, is a Bluetooth and Wifi enabled music player, with a quad core processor, the latest open Android OS, 64 GB of internal memory, with a slot to add more, and a battery that will last almost all day. 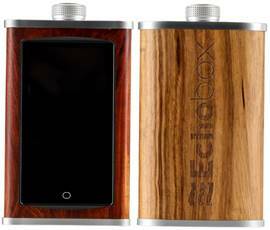 The whimsical flask design is ergonomically curved, and constructed from your choice of 4 types of solid hardwood. Store your own library of music on the device, stream from your preferred music source, and create playlists from a combination of both. With unbeatable sound quality, and impressive and user-friendly functionality, you’ll never want to listen to music on any other device again. Go to www.echoboxaudio.com to find out more and pre-order your own Explorer. Finally, the Pendulumic headphone series offers high-fidelity, wireless sound, inside very chic looking, and comfortable headsets. The Tach T1 on-ear, or Stance S1+ over-ear headphones both have superior sound quality, up-to-date Bluetooth connectivity, stellar battery life, and an impressive wireless range, all coming together to create a top-notch listening experience. The Tach T1 is lightweight, with passive noise cancellation, extremely low latency, and dual sharing capability, allowing you to share the same music between 2 connected Tach T1 headsets. The Stance S1+, in addition to being an audiophile’s dream, can also keep you connected, with the ability to make and receive calls while you’re listening to tunes. It has 4 listening modes: Wireless, Wired, Amplified, and Phone. 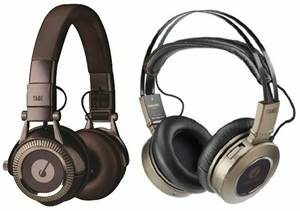 You can read all about these modes, both styles of headphones, and much more at www.pendulumic.com. I brought one of the Tach T1 models home with me, so keep a watch for a review coming very soon. The Luxury Technology Show, though small in size, provided an impressive array of products to delight the high-end consumer. I thoroughly enjoyed my evening, and can’t wait to get my hands on several of these items to use at my leisure. I hope you’ll check out each of them at the links provided, and have a chance to experience them all for yourselves.